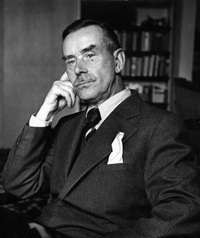 Thomas Mann was a German novelist, short story writer, social critic, philanthropist, essayist, and 1929 Nobel Prize laureate, known for his series of highly symbolic and ironic epic novels and novellas, noted for their insight into the psychology of the artist and the intellectual. His analysis and critique of the European and German soul used modernized German and Biblical stories, as well as the ideas of Goethe, Nietzsche, and Schopenhauer. His older brother was the radical writer Heinrich Mann, and three of his six children, Erika Mann, Klaus Mann and Golo Mann, also became important Ger Librarian Note: There is more than one author in the GoodReads database with this name. See this thread for more information.